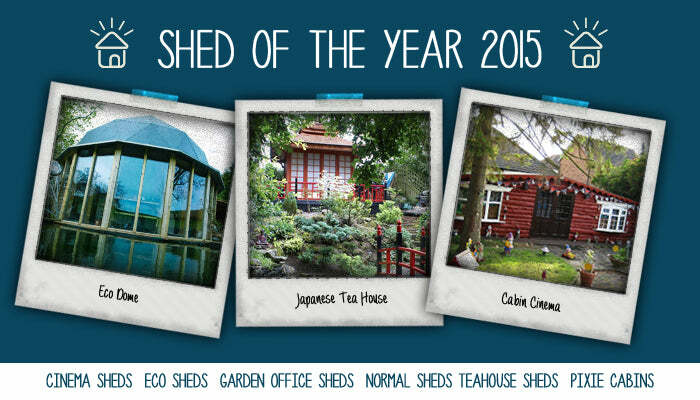 The Shed of the Year 2015 is back! 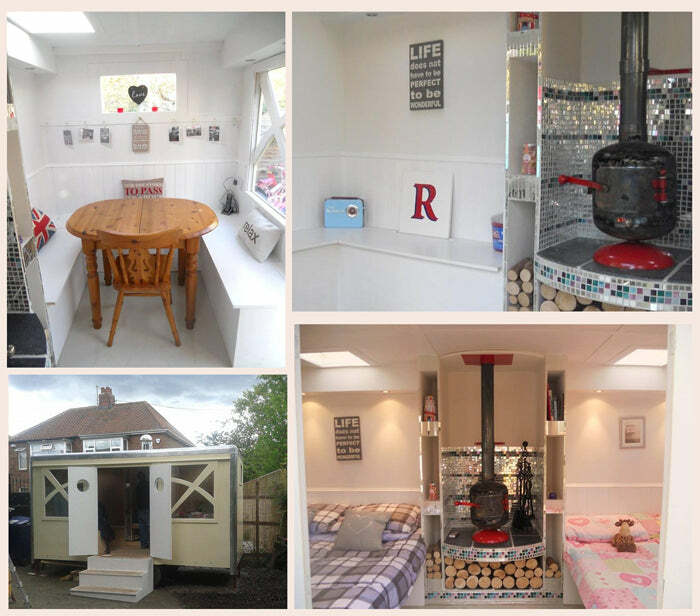 This is our favourite national competition and not only because it’s all about sheds, but because it showcases the creativity, imagination and talents of sheddies across the UK. The finalists for each category were announced on 18th May and the mix of sheds, garden offices and unique buildings are incredible. We’ve gone through each category and picked our favourites. The pubic were asked to vote for their favourites. 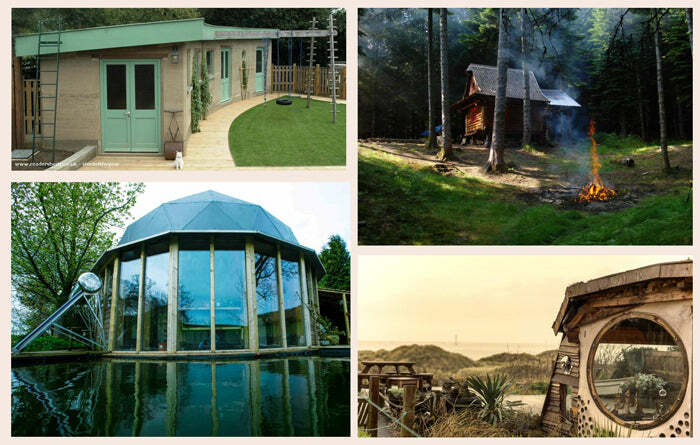 The finalists with the most votes in each category will be featured on Channel 4’s Amazing Spaces. 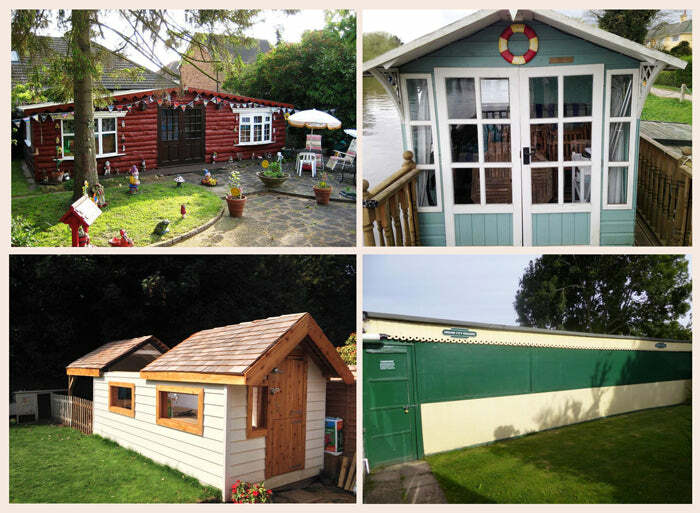 Here are our top picks for the Shed of the Year 2015. The first category is ‘normal sheds’ however the name isn't quite appropriate because none of these sheds are considered normal. One of the finalists owns the ‘cinema shed’ which comes fully equipped with a vintage cinema screen, posters and cinema seats. The dream rail shed is the model railway lover’s dream with a huge array of train sets and a huge separate control area. The last 'normal shed' is one which is positioned on a boat and is decorated with a sail theme. We struggled to pick our favourite however we think it is pretty epic. This 15 x 8 shed was hand built by sheddie, Ben Filmore and is used as an observatory complete with a roof that rolls off to allow access to the starry night sky. We love this amazing shed because although it was hand built by a self confessed DIY novice it looks beautiful both inside and out. Eco is always an interesting category because you see lots of innovative DIY builds, recycling and energy techniques. The Owl shed is made from recycled plywood, glass bottles and even has a living roof. The Rammed Earth build is made from mud which was an initial money saving idea however she soon realised that she was saving the planet at the same time. Paul's eco dome is known by the locals as the ‘tardis’ it has two floors and is used as a place for testing different types of energy systems from solar hot water panels to reflective pools. The self-supported dome is made from 16 gauge aluminium with double glazed south facing windows to help keep it insulated. This is an exciting category which was very difficult to choose our favourite from. We have a teeny tiny pixie cabin which has been created to be portable and was built without a spirit level in sight. The garden cottage is a romantic hideaway nestled at the bottom of the garden which is used as a space to relax and entertain. This shed was originally an old and knackered catering van. Ben transformed it into a beautiful living space complete with guest beds and a log burner made from a recycled gas bottle. Garden buildings make excellent workshops and studios. These finalists have amazing studios that look like perfectly styled, spacious rooms that you would hardly guess started out as a shed. 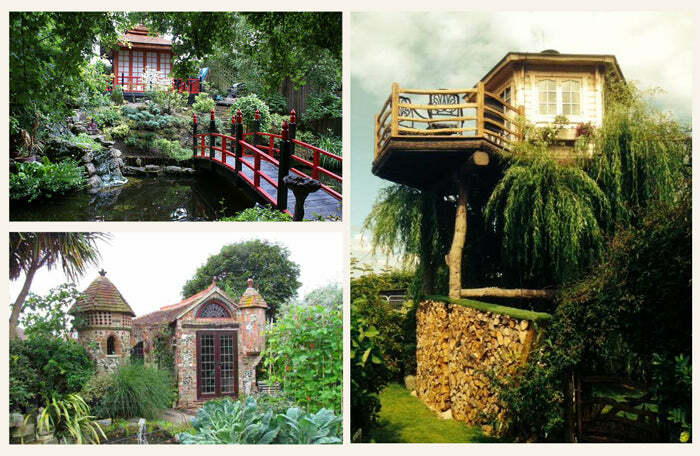 We can’t believe that this shed is based in Shener’s London garden. Shener is a builder and decorator and is used as a space for hobbies, relaxation and as a retreat from working life. This creative category has got to be our favourite, the array of imaginative and completely out of the box sheds are amazing. 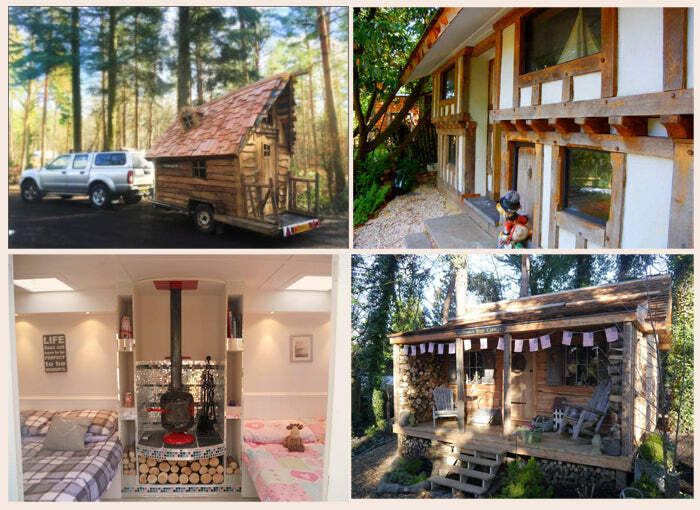 Terry’s treehouse sits 4.5 meters in the air and is fully fitted with a central bbq, two beds and seats up to 10 people. This micro shed is absolutely amazing, it measures 4’ x 2’ x 4’ and sits on a miniature rail wagon. It comes complete with a comfy seat, shelf and even a stove. What more could you need? Another fantastic category demonstrating the pure genius of these sheddies, these pubs operate in the back gardens and outdoor british spaces however the transport you to another country. Simon's nightclub shed has a bar area and chill out area and has been filled up with salvaged items from years for car-boot sales and scrap yards. 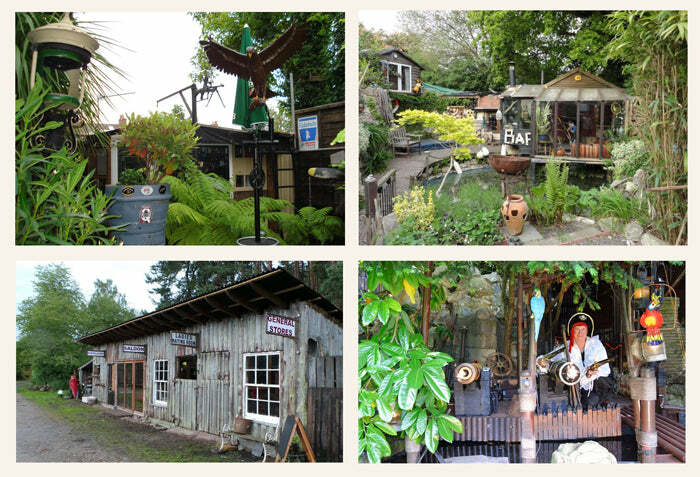 The pirate shed leaves nothing to the imagination fully fitted out with laser lighting, electric drawbridge and even a zip line. 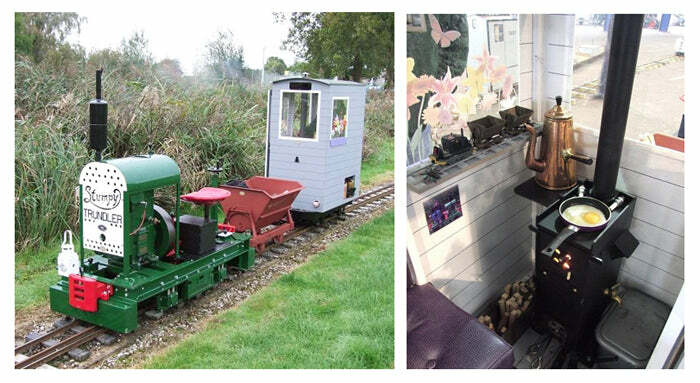 Keith has slowly added to his original shed over the years collecting items from skips and second hand shops. Keith even opens the shed up to parties of up to 50 people; of course you have to be in Pirate fancy dress. Did someone say office party? Log Cabins and summerhouses make excellent offices, they provide an extra space which is unique and tranquil with fantastic views. The four finalists have excellent offices that are suited to their styles and needs. Our favourite is extra special. 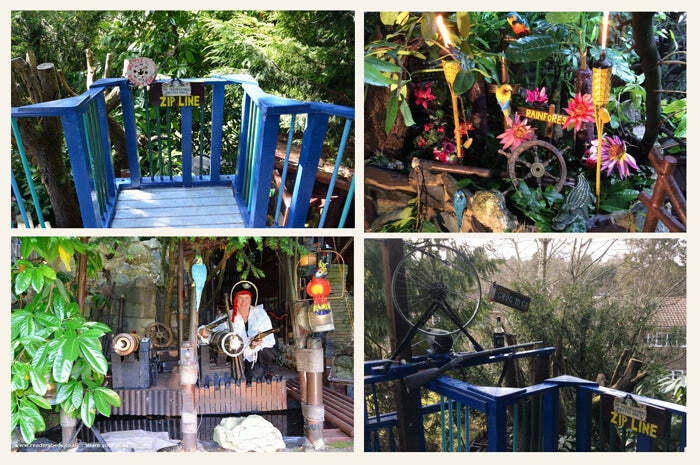 Rod’s studio shed is fit with unique up-cycled features such as the hand-carved door, recycled decking and solar powered lights. Rod uses the space to work on his writing and has since written two novels. He wanted the room to be a place of tranquillity where he could focus and be relaxed so used the art of feng-shui to put everything in the right place. We love this category because it shows just what you can do even if you are on a shoestring budget. All of these amazing builds have been done for less than £500!. We love them all. 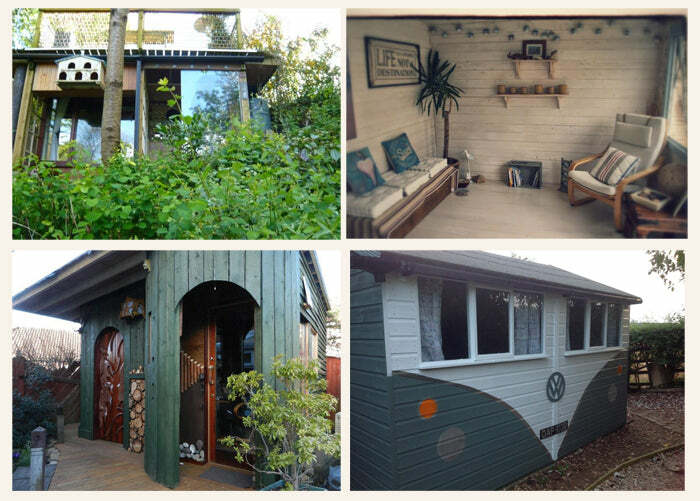 Karen’s bright upcycled shed is built using debris from an old beach hut and decorated using materials found on the beach. It’s a really quirky and unique space that looks like the perfect room for hanging out in the sunshine. Someone pass us the Pimms! 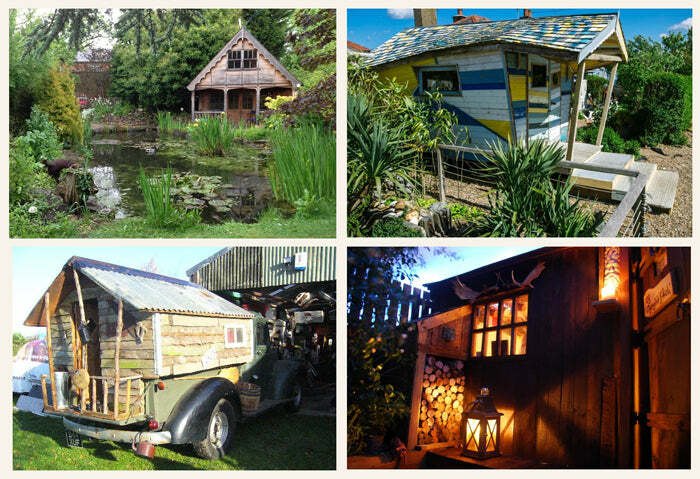 Have entered this year's shed of the year with a Waltons Garden Building? Let us know and we will feature it on our blog. Shed of the Year 2015 by Waltons Web Ltd with information from Reader Sheds is licensed under a Creative Commons Attribution-NoDerivatives 4.0 International License.